“It’s not my fault! I didn’t do it!” How often did that disclaimer echo through my childhood home, where there were seven children—so there was always a scapegoat on whom to pin the blame! We live in a society in which blame-shifting has become an art. It is my parents’ fault. They do not pay me enough at work, so how can they blame me for pilfering? My spouse does not appreciate me, so it is excusable that I have an affair. The same blame-shifting is rife in our government: the president blames Congress, Democrats blame Republicans, and vice versa. The amount of creativity expended in inventing reasons to duck accountability would be funny except that it results in lost opportunities, inefficient and ineffective policies, and moral decline on the personal and the corporate level. 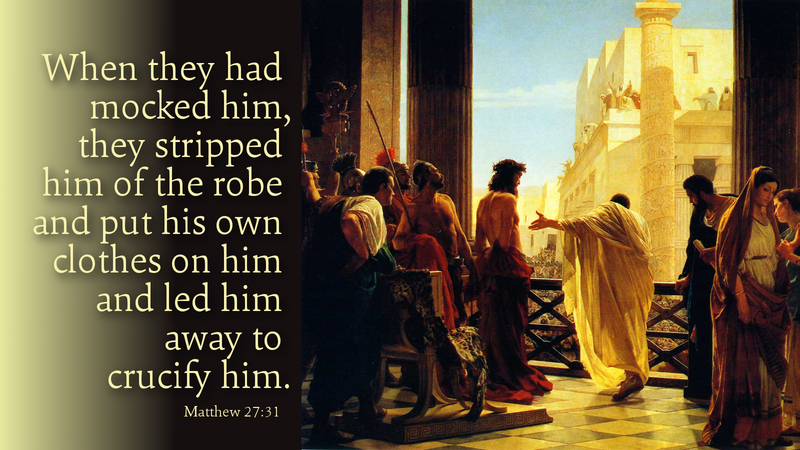 Pilate thought that if he washed his hands, he would be innocent of the blood of Christ. But if simply washing our hands, shifting blame, or evading responsibility covered our sin, there would have been no need for the Savior to go to the cross. Instead, he even covered the sin of those who crucified him, asking God to forgive them with his last breath. What a gift of grace! Prayer: Heavenly Father, help me to remember that my sin is removed from me, not because I evade accountability, but because your son died to make it so. Amen. Good to hear from Pastor Marty Ramey again. Miss you- hope you are well.